basically it is a plant that can tollerate long periods of drought. Succulents store moisture in their leaves and stems, allowing them to survive. You will probably never own all of the succulents that exist, there's thousands of them. All of these plants do however belong to common groups. It's great fun learning the different ones and you don't have to love just one type (honestly who does that) Succulents look great when varieties are mixed and matched and can be planted together for maximum effect. This list is not comprehensive, it just covers the more common succulents. Usually has large bright leaves that stand up on stalks to approx. 45 cm tall. They do not like hot dry weather and prefer a shaded position. Their growth season is actually winter to spring, not the warmer months. I have mine growing in a morning sun position and they seem to be very happy. The most famous of this is of course Aloe-Vera, but there are many types of Aloes. They somtimes flower and love to grow in a sunny/partly shaded position and prefer to be watered sparingly in winter. Part of the Jade family it is highly regarded as a lucky plant and is often referred to as the money tree. In winter the plant will show its vibrant colours and turns red bringing in new colour to the garden. Looks great in pots or containers too. Will take full sun and also part shade. Usually very easy-care plants, even by succulent standards. A varied form of succulents, they come in many shapes, sizes and colours but most are beautiful. Some Echeverias are low to the ground rosette forming types, others grow into more shrub like shapes. This isn’t a type of succulent but often gets confused as cactus. Truth is it is neither and belongs to it’s own genus of plants . None of that really matters though because they are still amazing easy to care for plants. 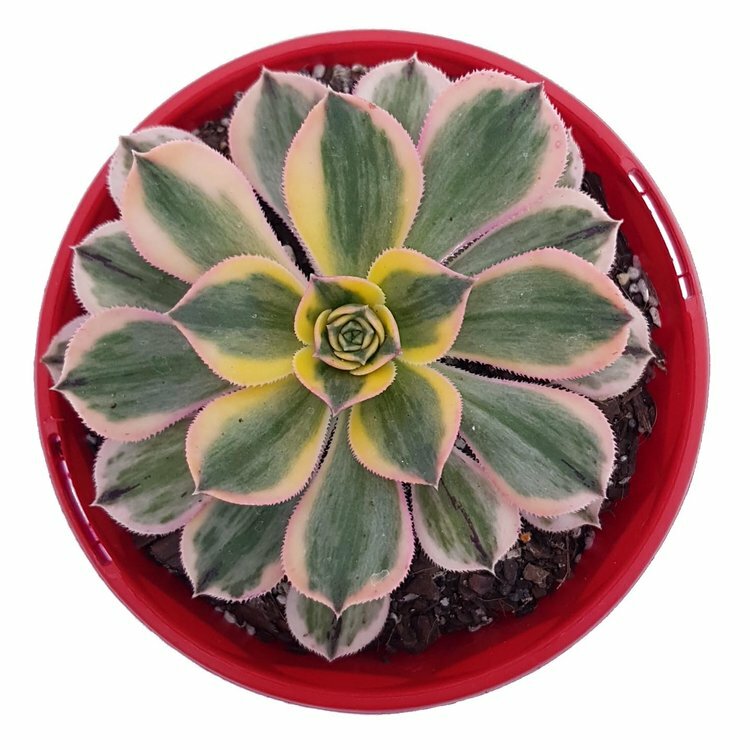 Graptoveria is a hybrid of Echeveria and Graptopetalum. There are so many types, and they vary from plant to plant, generally they tollerate heat and sun and are usually smooth leaves but come in all sorts of shapes. Usually forms rosettes that grow to about 15cm high. It is quite hardy, I once accidently ran the mower over a plant and although it took a while to grow back, it is thriving. They look similar to Aloes. A striking ornamental plant, that has unusual and colorful foliage. Makes a striking addition to any garden and will grow in full sun to a partly shaded position. Most plants flower, some are more significant than others. This is a hybrid cross between Pachyphytum and Echeveria and is a hardy small succulent with each variety having different foliage. Excellent for landscaping and requires full sun but will grow in part shade as well. Sedums are normally a fleshy-leaved plant with small star-shaped yellow, pink, or white flowers, grown as an ornamental. Sedum make great groundcovers and fillers. They are often referred to as stonecrops because of their ability to grow just about anywhere. Very hardy, looks great in gardens, rockeries or containers. I prefer to grow them in a sunny but partly shaded positon. Senecio’s often resemble Succulents but actually belong to the same family as daisies. The name means old man in Latin. Many are great for hanging pots.